Brown the ground beef with the minced onion and garlic powder. Drain and return to the skillet. 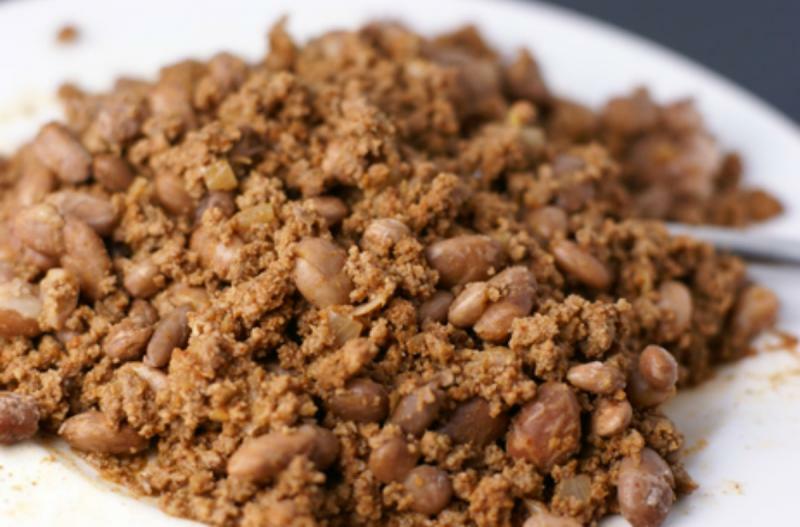 Drain and rinse the pinto beans, then stir them in with the meat. Add the tomato sauce, chili powder, ground cumin and salt and pepper to the browned ground beef and let simmer over low heat for 10 minutes. 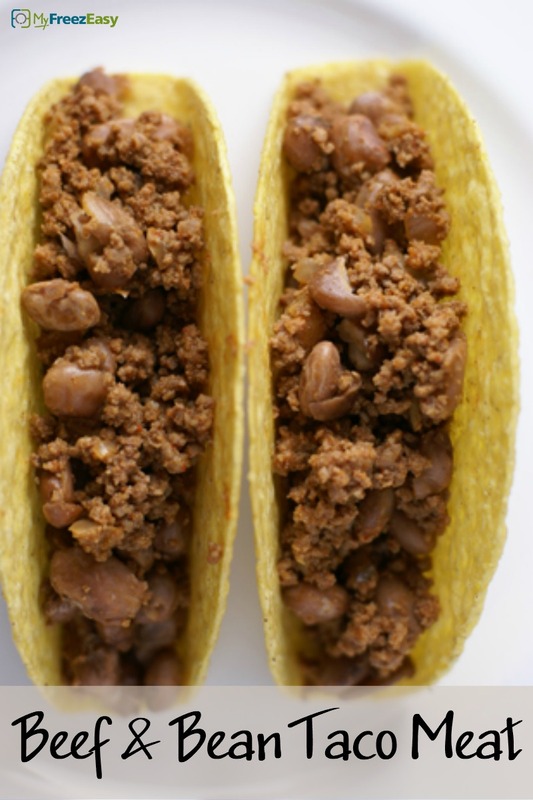 Spoon beef-bean mixture into taco shells and add desired taco toppings on top. Serve Beef and Bean Tacos with fruit. Brown 2 lb. Ground beef with 2 Tbsp minced onion and 2 tsp garlic powder. Drain and set aside to cool. Open, drain and rinse 2 cans of pinto beans. Thaw and reheat the beef and bean mixture over low heat in large skillet. Serve in taco shells with toppings and fruit.